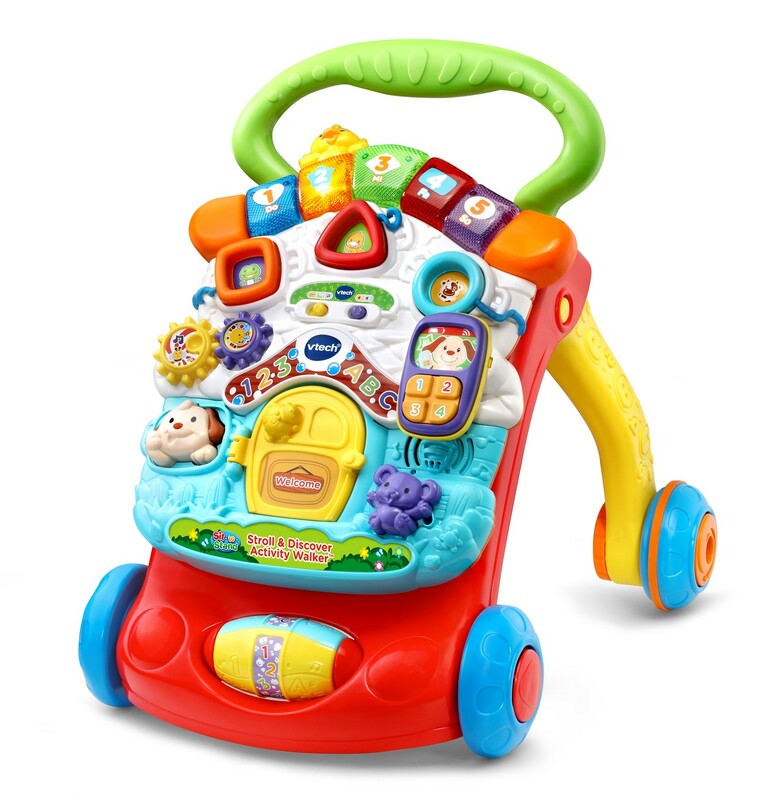 This interactive walker grows with your child, featuring a removable electronic play panel for 2-in-1 fun! From floor play to first steps, the Stroll & Discover Activity Walker™ grows with your little one. The easy-to-remove activity panel is great for floor play and is packed with features and the legs fold for easy storage. Five light-up piano keys introduce colors and numbers, while spinning gears and a removable cell phone help develop fine motor skills. Meet six friendly animals by inserting the three shape sorter pieces, pressing the puppy button, sliding the mouse or batting the bird to hear their unique voices and sounds. Attach the panel to the adjustable two-speed walker as little ones grow, and watch them go!